On August 17th, the National Baseball Hall of Fame and Museum in Cooperstown, New York, dedicated the Allan H. “Bud” Selig Center for the Archives of Major League Baseball Commissioners. 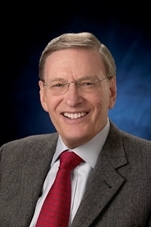 Commissioner Selig is a member of the Law School’s adjunct faculty, holding the title of Distinguished Lecturer in Sports Law and Policy; he and I co-teach Professional Sports Law. Considering the many things he has done to advance the game of baseball during his nineteen-year tenure as commissioner (both interim and permanent) and as the owner of the Milwaukee Brewers for more than three decades, I believe this is a very appropriate and well deserved tribute to Commissioner Selig. “The Selig Center for the Archives of Major League Baseball Commissioners will ensure a permanent home for the documentation and preservation of the Office of the Commissioner’s contributions to baseball history,” said Jane Forbes Clark, Chairman of the National Baseball Hall of Fame and Museum’s Board of Directors. “This archive will provide a central location for the study and research of the importance of the Office of the Commissioner, and its role in shaping and advancing the National Pastime for nearly a century.” The new, permanent addition to the Hall of Fame Library features a private research space that celebrates the role of the Office of the Commissioner and pays tribute to the nine Commissioners who have guided Major League Baseball since Kenesaw Mountain Landis was named the game’s first Commissioner in 1920 (Landis lectured at Marquette Law School while serving as a federal judge in Chicago prior to being appointed Baseball Commissioner). The Center features historical documents from important moments in the tenures of Baseball’s nine Commissioners, along with a conference center and work space for research and archival study. Next Next post: Why Confess?